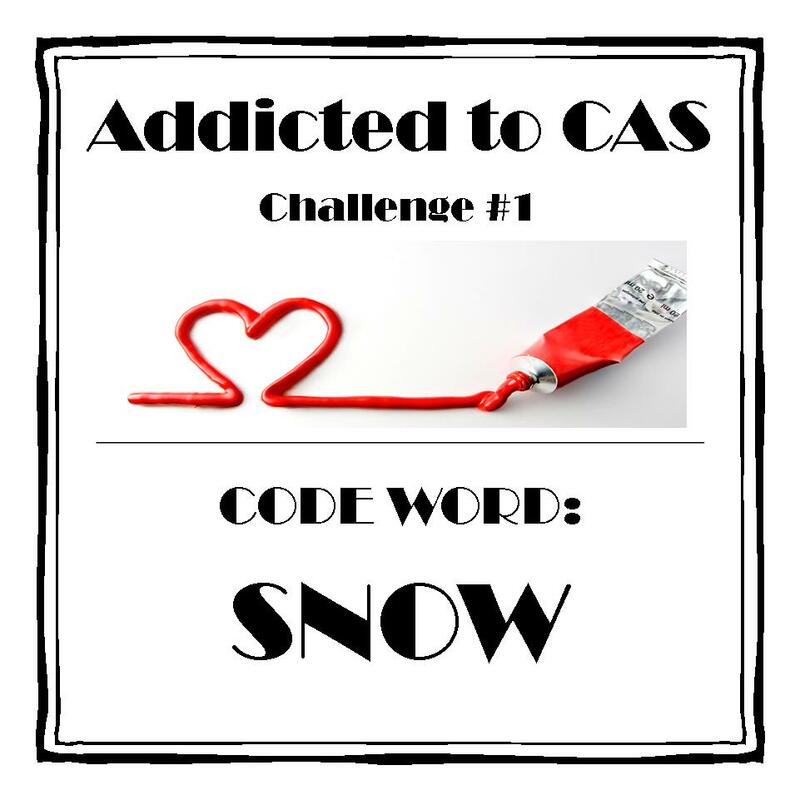 This card is for Addicted to CAS's first challenge: Snow! I woke up with this idea in my head. It'll be perfect, I thought. This Lifestyles Crafts die is so symmetrical that it will be EASY to piece this together, I thought. WRONG. Each one of the "M" shaped pieces between the arms of the snowflakes (yes, they have arms, didn't you know?) is unique, so there was some serious re-cutting involved here, and even some re-re-cutting, once I figured out how to position the die to get the 'right' piece cut! But I'm happy with the result - lots of retired Stampin' Up blues here - Brocade, Ballet, Caribbean, plus Bashful, Pacific, Turquoise and Not Quite Navy. The sentiment is from Petite Pairs. Sunday is Toronto's Santa Claus Parade - I'll be marching in it, playing my tambourine, along with about 20 other ladies, in front of The Salvation Army band. It's always such a fun day, and a wonderful way for the Army to remind people of the true meaning of Christmas. Looks like the weather is even going to cooperate! Hopefully I'll be able to get a photo to share with you on Monday! Oh so beautiful! The hard work was so worth it! GOOD GRAVY, this is amazing! LOVE the bit of sparkle..and where do I get this die?! I think I may "need" it! :) Thanks for telling us about your supplies!!! Absolutely stunning!!! Well worth all the effort involved! Can you say amazing! Excellent placement! Now this is a perfect winter blues card! All I can say is WOW!! Love your idea and how you made it happen! Stunning result indeed! Glad to hear that you are in TO!! Happy parading! Thanks so much for playing with us at CAS-ual Fridays! Stunning; I am glad you persevered with the cutting. 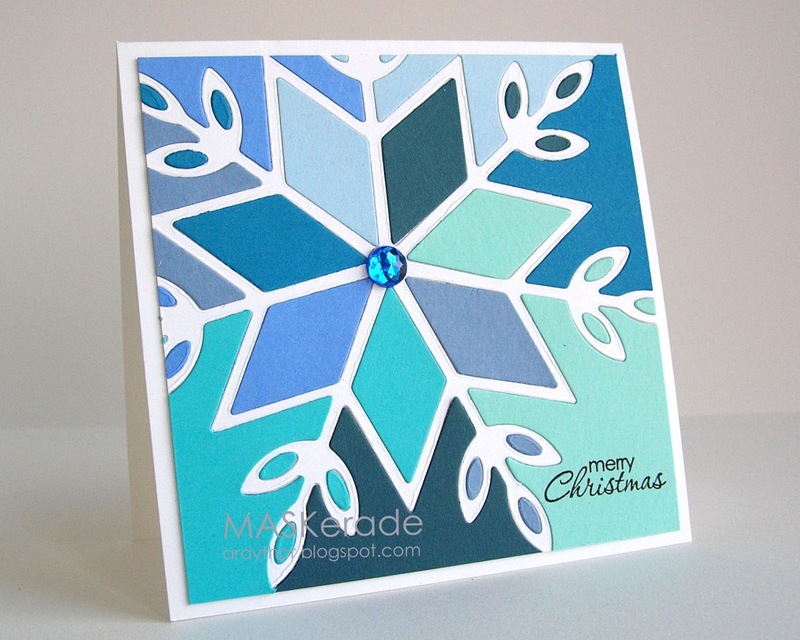 Love your bold, graphic snowflake with all the beautiful shades of blue! Thanks for joining us at Addicted to CAS! Wow Ardyth - that snowflake is amazing - what an awesome job of placing the pieces of the snowflake! Thanks for joining us at ATCAS!! Love this, it's so striking! Holy moly! I'm sorry it wasn't easier to put together, but the end result is absolutely amazing Ardyth! Thanks so much for playing with us at CAS-ual Fridays! Wow! What a wonderful card!! I have a lot of snowflake dies, but not this one... Hmmm... now I'll be searching. Super card, such perfect piecing. Awesome! This is another brilliant take on the challenges (I combined these two as well), Ardyth. I'm sorry that it gave you fits, but it turned out perfectly!! Hope you had fun in the parade and I'm looking forward to seeing a photo! Wow amazing card...love it. Hope you had a great time at the parade. So well worth the effort! That is a whole lot of beautiful slicing & dicing and splicing! The different shades of blue are perfectly coordinated! Hi Ardyth - beautiful card. Thanks for joining our first challenge at ATCAS. Definitely worth the work -- the results are amazing. This is a stunner and I love the fact that it's off centre. And a big gold star for your patient die cutting! LOL! This is gorgeous! All that hard work paid off into one super-fantastic card! Brilliant! Genius! Gorgeous! Amazing! Spectacular! (somebody stop me!) Seriously, this card is all of the above! Beautifully crafted! This is so amazing, Ardyth, that I HAD to case it:)!! You are one creative artist!! 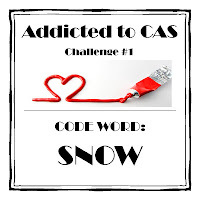 So glad that you are a part of the CAS-ual Fridays challenges and share your creativity with us:)!! Paper piecing the negative impressions too ... now that's brilliant!! Love your off-centerness. Popping back to congratulate you for the CFC honor! More than well-deserved!! what a stunner. love everything about this card! !